Cystic Fibrosis - a Tragic Story - The truth about food and medicines. More than forty years ago, veterinarian Joel Wallach made a revolutionary discovery whilst working in the pathology department of Yerkes Regional Primate Research Centre in Atlanta, Georgia, USA. For the very first time he diagnosed a case of cystic fibrosis of the pancreas in an animal. Despite being a fairly common disease in humans, it had never before been recorded in animals and all veterinary literature at that time stated that the disease definitely did not exist in animals. The autopsy at which Wallach made the discovery was on a 6 month old baby rhesus monkey. By chance, while previously working with monkeys at the NASA experimental laboratory, he had witnessed what happened when pregnant monkeys were accidentally deprived of selenium in their carefully monitored diet; their babies developed cystic fibrosis. After further meticulous tests, Wallach was able to prove that the disease was caused by a selenium deficiency in the mother and was NOT a genetic disease, as was previously believed. Wallach realised straight away that the discovery would have a far reaching and dramatic outcome. He now knew “congenital and neonatal selenium deficiency in animals equalled cystic fibrosis in humans”. Here, at last, was a way in which to wipe out a hitherto incurable disease. Wallach was hailed as a hero and invited to lecture in 20 different States in America, as well as in several European countries. Gene therapy was the new ‘holy grail’ at that time, and it transpired that the faculty for which Wallach was working was trying to get a multi-million dollar grant to study genetics. They were afraid that if it was revealed that cystic fibrosis was not a genetic disease they would not get the grant. Inevitably, funding for research would end and many scientists and researchers would lose their jobs. This was more important to the scientific community than the ground breaking discovery that showed the way to eliminate a severe, distressing disease thought to be incurable. Cystic fibrosis, which Wallach says is 100% preventable, is still affecting thousands of children every year. He calls it the ‘crime’ of the century. Not only is cystic fibrosis preventable, but Wallach claims it is 100% curable in the early stages in laboratory animals. ‘The prevention of cystic fibrosis has been accomplished in pet, farm and laboratory animals by the veterinary profession by assuring adequate levels of selenium and essential fatty acid nutriture (sic) to the preconception, pregnant and nursing mother'. After the devastating experience of being so unfairly treated, Wallach decided, despite having spent 30 years as a veterinarian, to go on to train as a doctor so that he could continue to help the hundreds of children already affected by cystic fibrosis. Realising that traditional medical school was likely to be as negative as the National Institutes of Health had been, he enrolled at the National College of Naturopathic Medicine in Oregon. January 2019. The Foundation declares, ‘We fund more innovative, ground-breaking Cystic Fibrosis research than any other organization in the world. We have invested hundreds of millions of dollars into Cystic Fibrosis research and drug development’. About 10,400 people in the UK have cystic fibrosis and in the USA it is reported that today, more than 30,000 people are living with the disease. Statistics reveal that approximately 1,000 new cases of cystic fibrosis are diagnosed in that country each year. Is it not tragic that babies continue to be born with this life changing, distressing disease when by simply prescribing a selenium supplement to pregnant women, especially in selenium deprived areas, it would dramatically reduce the incidence of cystic fibrosis if not totally prevent it? It is significant that, according to statistics, the areas in the UK with the highest number of cases of cystic fibrosis are the very areas where selenium levels in the soil are the lowest, which bears out Wallach’s findings. These areas are the East of England, parts of the South of England, Wales, North East Scotland and N. Ireland. On average, UK diets contain only about half the recommended daily intake of selenium. New research shows how the dietary intake in the U.K. could easily be brought up to recommended levels by adding tiny amounts of selenium (about 20 grams per hectare) to the fertilizers applied to British wheat. January 5th 2012. Scientific award recognizes discovery of selenium-cystic fibrosis link. 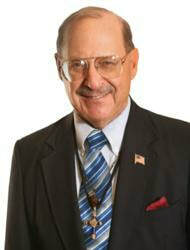 Joel D. Wallach, BS, DVM, MD has been awarded the 2011 Klaus Schwarz Commemorative Medal in Atlanta. The IABS cited Wallach's groundbreaking discovery of an animal model of cystic fibrosis, a disease that affects 70,000 people worldwide. In 1978, as a researcher at the Emory University Yerkes National Primate Centre in Atlanta, Georgia, Wallach observed pancreatic lesions that were identical to those observed in human patients in the offspring of inadequately-fed rhesus monkeys. This suggested that cystic fibrosis—at the time believed to be a genetic disorder of humans only—could also be the result of selenium deficiency, and that some forms of cystic fibrosis might be preventable.